- Includes 2 domain licenses free! 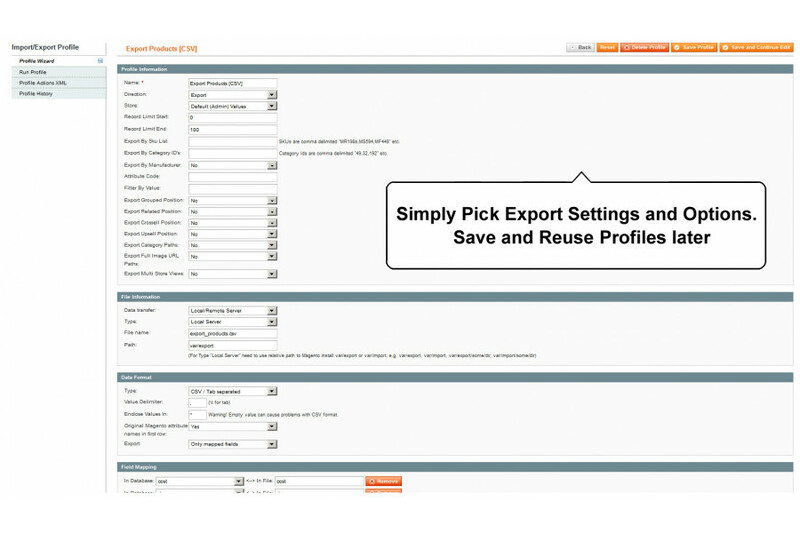 This extension is a fully customizable bulk import/export process for Magento. It will import and export products and can handle up to 25,000 products or more on a single import. It also will export all existing product data and will export all product types / tier pricing / custom options etc and you can then use that same file and re-import. 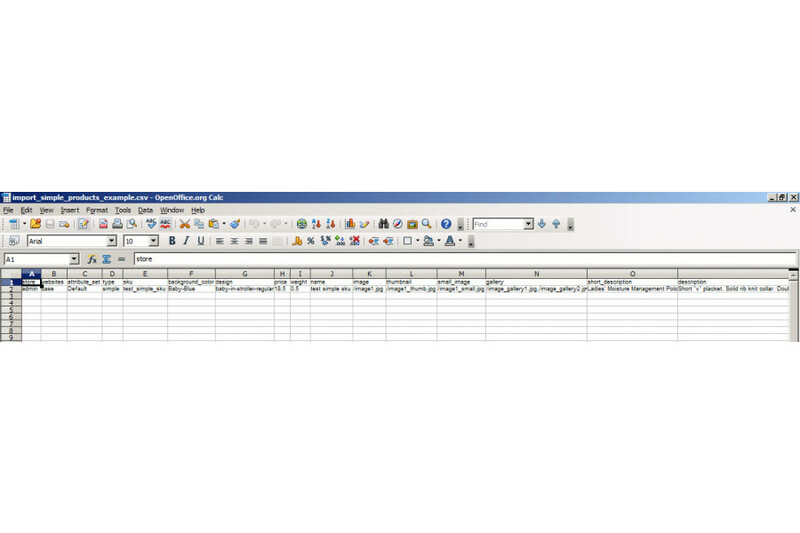 This extension can also be used to update existing price data and qty data or any other data that may need to be updated. 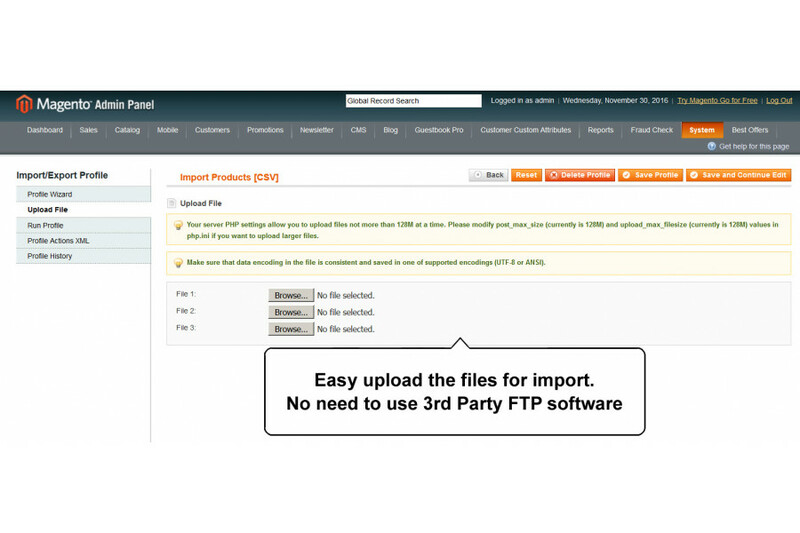 This extension includes a how to PDF with screenshots on how to setup your magento site to do custom imports as well as an example CSV's and all needed code / files etc to make this import process work. ** import/export images by HTTP URL or by local path from web server. 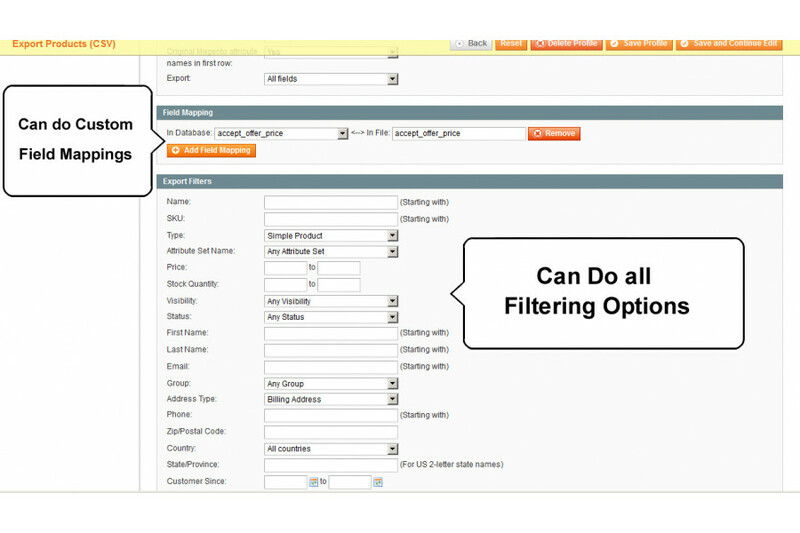 ** will export all product data and related product data (simple/configurable/virtual/grouped/downloadable) with custom options / tier pricing / product tags etc all DATA!! 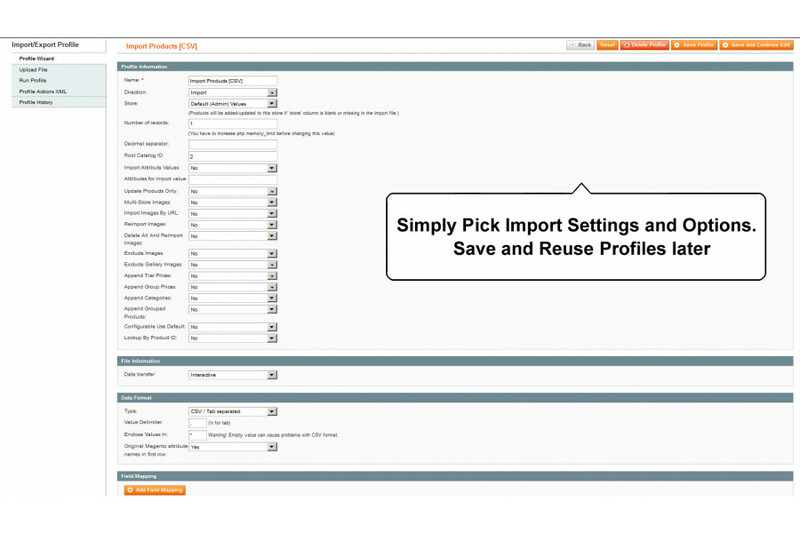 ** Support Multi Website, Multi Store and Multi Store View for Import Products. 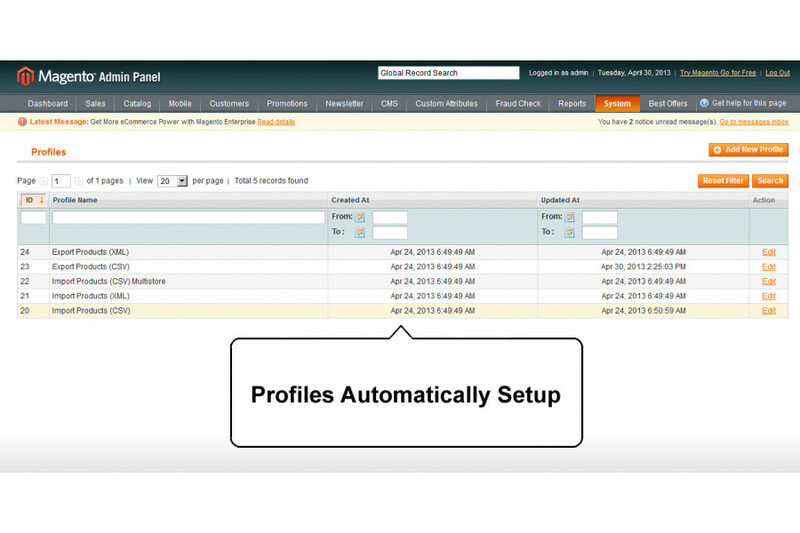 ** also includes sample code and instructions on how this process can be run from a cron job. Q: Will this extension categories if they do not exist? If i set attribute such as color of blue, will it the color attribute and the blue option? Or if the attribute color exists, will it at least add the blue option? Q: My site uses only custom options and no attributes although I use 2 extensions. One is by Temgra http://www.magentocommerce.com/extension/1757/color-custom-options-magento-extension and the other is by http://www.magentocommerce.com/extension/2075 I know you mentioned that the Temgra extension will work but I am concerned about the second one here. Thanks and I hope I can use your extension! 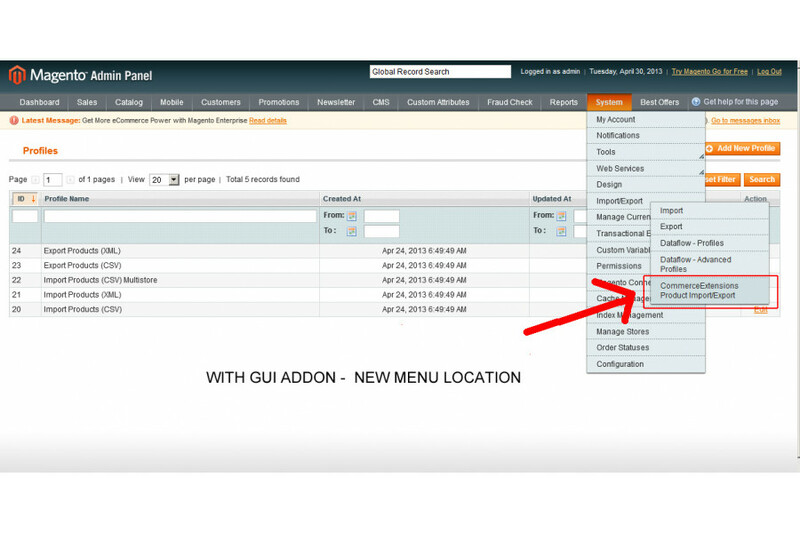 Q: Can it be set up to import and products automatically via a cron job or such? Q: Is this possible to import custom attributes,attribute sets ? A: no they have to already be created in the system. 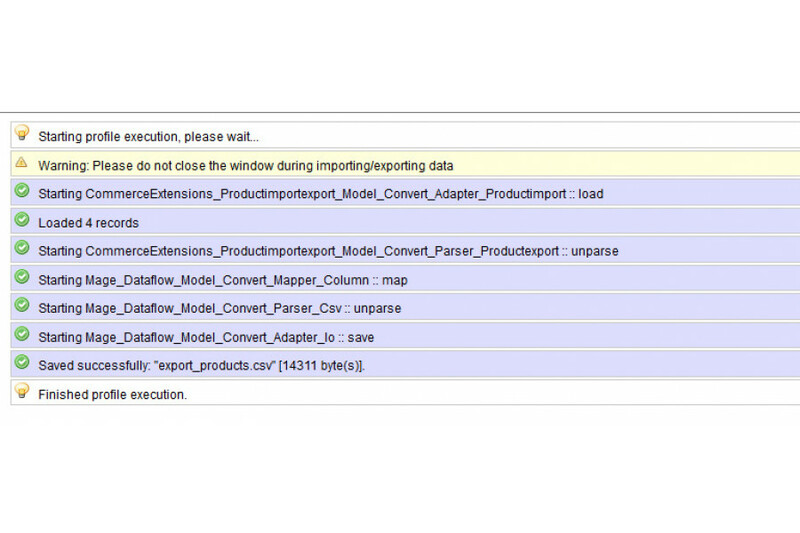 I have another module that handles the import of just attributes. Q: Hi, I''m very interested in the importing of tiered pricing and would buy this extension if you can guarantee or show me this feature will work and will be supported by yourself into the future. Q: Do you have any demo version of this to try before purchasing? 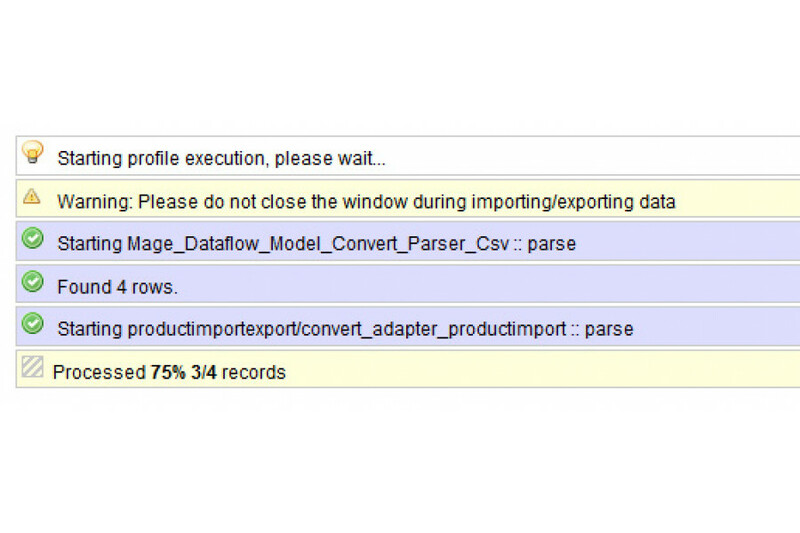 Q: I saw this program on Magento Connect and am curious to know if this will increase the speed at which Magento imports. I need to upload 110,000 records, I can break them up into smaller (25k record) uploads but dont want to wait all day for them to import. Also, my current upload sometimes goes through a 1000 records and other times it gets stuck at 200 records will your program fix this problem? Can you please let me know as soon as possible, I need to get these items imported immediately. Q: I''d like to see a sample csv first to see if it suits my needs. A: please email me directly at scottbolasevich@gmail.com and i will email you a few sample files. Q: Hi I''m looking for a solution that allows me to import tiered pricing (which your extension does) but also the related, up sell and cross sell products for each imported item. Does your extension do this? Can I access the instructions for your extension prior to forking out the $99.99? Thanks. Q: Do you have a demo of this product? Is it a PC application or a web script? I have a lot of products to import into my store and I''m looking for a good solution. A: its a magento extension / php script. This is a very solid solution. 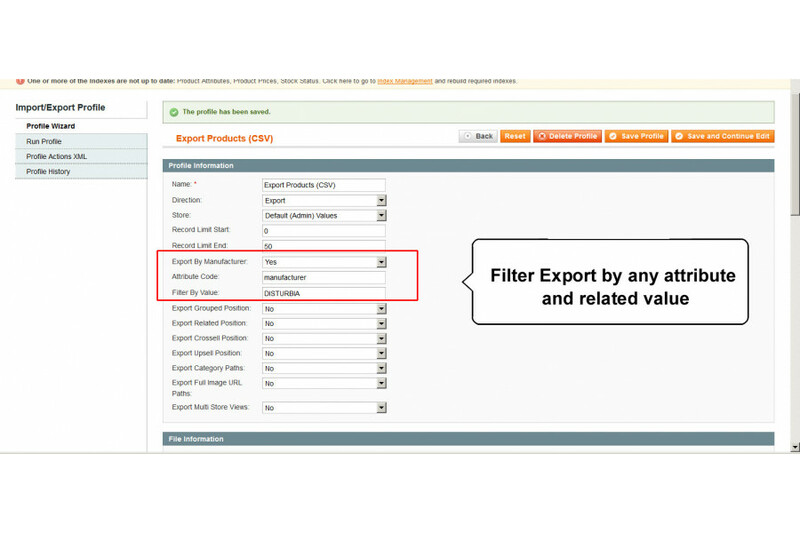 Q: Can this import/export Grouped Products? 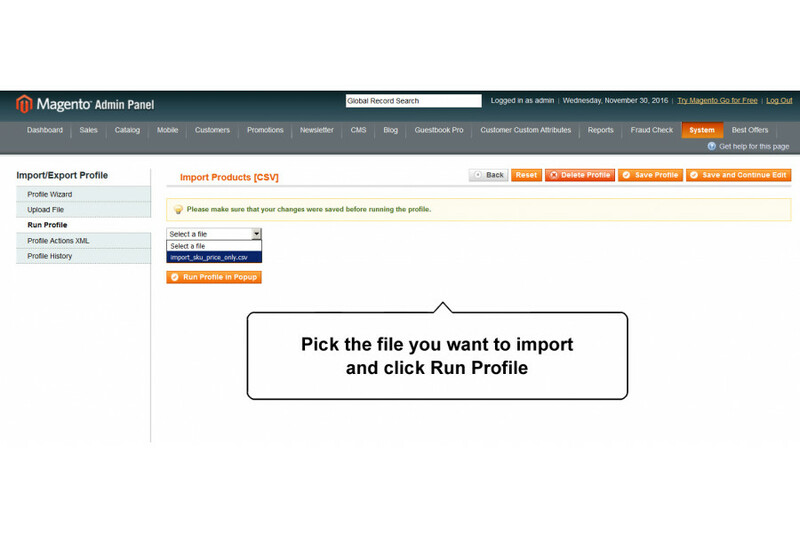 Q: Can this import/export Customer Group Pricing? Great continuous support! Relentless on the responses to troubleshooting an issue. Extension works as promised (even better?) and Customer support is off the chart!!! Good documentation and examples! 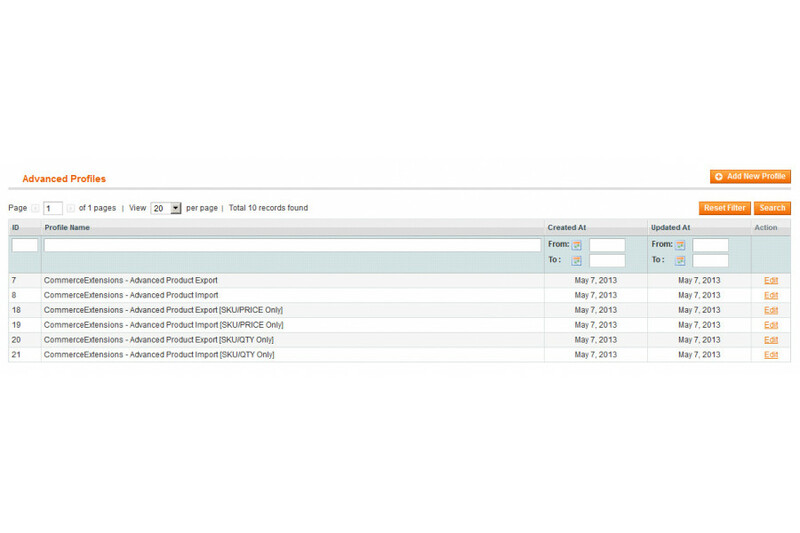 Great extension it helped me to move 30K configurable products from old website to Magento without any issues. Customer support is excellent, Scott answered all my questions regarding extensions.